A woman named Prabhavathi has filed a Police complaint against Bhanupriya, accusing the veteran actress Bhanupriya of allegedly harassing her 14-year-old daughter, reported The News Minute. The girl worked as a domestic help at Bhanupriya’s residence in Chennai. The woman in the complaint filed at Samalkot police station in East Godavari, Andhra Pradesh, alleged that her 14-year-old daughter was not paid the regular salary and was not allowed to meet her family. After The Police Complaint Against Bhanupriya has, however, denied these allegations. 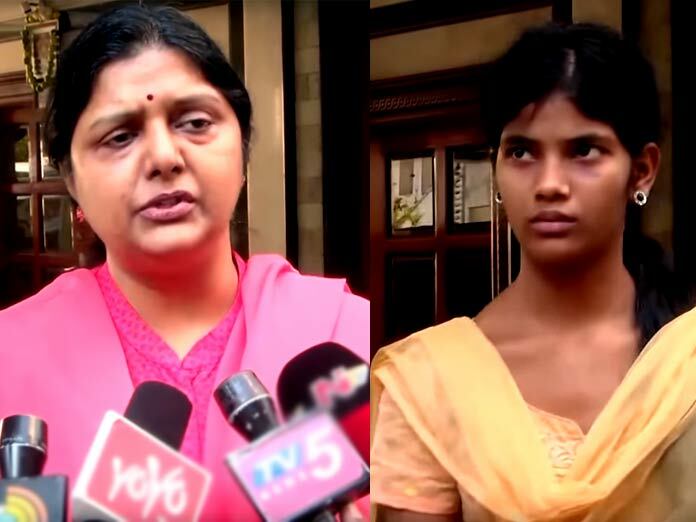 The girl’s family and relatives visited Bhanupriya’s residence in Chennai earlier this month after they received an anonymous call, claiming that their daughter was being harassed by Bhanupriya’s brother Gopala Krishna. The Prabhavathi has also alleged that Bhanupriya demanded Rs 10 lakh for releasing her daughter. The actor alleged that the girl had stolen valuables from the house. According to the police, the girl is still at the actor’s house. Prabhavathi, in a media interaction, said, “We sent her to work in Chennai. when we asked them to send her back, Bhanupriya’s brother said that the other six house helps was on leave, and told us that they will send my daughter home once they return.” “My daughter apparently has bruises on her face,” the mother added.